Often, when I am dealing with a malware-infected computer, I find that the malware has compromised the currently installed anti-malware product, and simply scanning the computer with the installed software does not work. When that happens, my go-to choice for malware remediation has been to download and install a copy of Malwarebytes, and run scans until the Malwarebytes reports the system is clean. In the course of research for another article, I stumbled across a comparable tool from Sophos called Hitman Pro. If you are a long time reader, you may have figured out that I am a big fan of Sophos and their Naked Security blog. They were one of the first companies to develop effective software (Intercept X) to combat crypto-ransomware infections and prevent them from damaging stored data. So I decided to give Hitman Pro a try. I ran both Malwarebytes and Hitman Pro on an average system in a training lab. The system was not actively infected, but Hitman Pro took 5 minutes and 41 seconds to complete the scan, and found 383 tracking cookies. Malwarebytes ran the same scan in 4 minutes and 51 seconds, and did not report the tracking cookies. Malwarebytes needs to be installed locally to run a scan. It uses both malware definitions and heuristics (behavior) to detect and isolate threats. 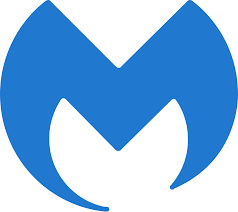 Malwarebytes has a free version, and a premium version that costs $39.99 for a single device and $59.99 for up to 3 devices. 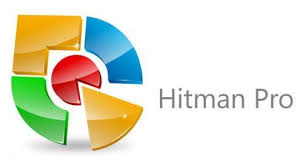 Hitman Pro can be installed locally or run from a portable USB. There is a 30-day free trial period, but after that it will cost you 24.95 for Hitman Pro, or $34.95 for Hitman pro Alert. Both provide advance malware and PUA/PUP (potentially unwanted applications or potentially unwanted programs) removal, and the more expensive Alert product also covers real-time protection, ransomware protection, advanced exploit protection, and privacy features. I am looking forward to trying Hitman against an actively infected system, to see how it compares. But it appears to be comparable to Malwarebytes, and is worth adding to your toolbox.